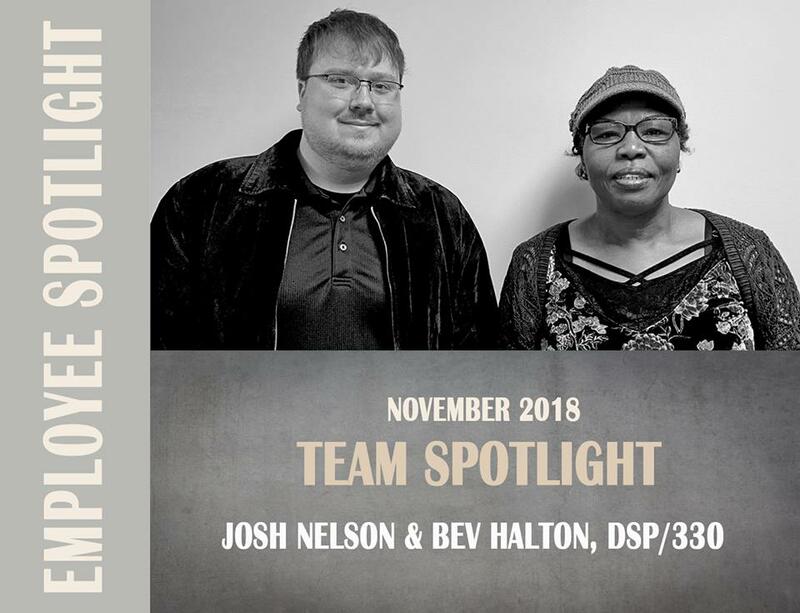 Congrats to November’s Employee Spotlight recipients, Josh Nelson and Bev Halton. New experiences can be challenging, but Josh and Bev have been creative in finding ways to take advantage of natural incentives. They are also careful to pick up on cues that indicate when the person they work with is fulfilled with the new activity. The result: several successful new experiences and a broadening of horizons!